Maybe you’ve seen the pictures in National Geographic of the bottlenose dolphin swimming with the plastic six-pack holder, or the stork virtually shrink wrapped in a clear plastic bag. There’s the Great Pacific garbage patch, also known by its scarier name, the Pacific trash vortex, floating between Hawaii and California, a raft of trash so big it would be mythical if it weren’t all too real. 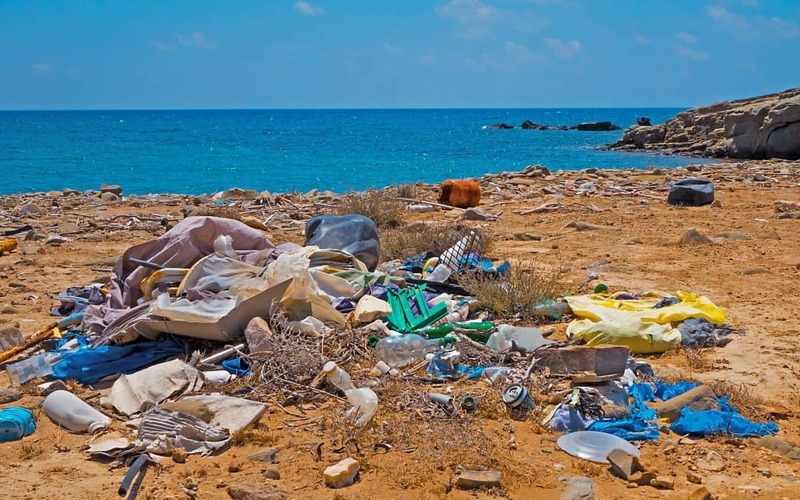 From Nepal to Ethiopia, Japan to Costa Rica, the devastating accumulation of single-use plastics humans throw away is literally choking the planet. At Be Bottle we know, as you know, the problem is big, even epic. Awareness, such as seeing those pictures and having a response, feeling the impulse to enact some change, is the beginning of the solution. As mega as the issue is, that raft was built one disposable water bottle at a time. Individuals can begin to untangle the earth from its plastic noose the same way, making the choice every day to reach for a reusable alternative, such as a stainless steel water bottle. As far as we know, there was no evil overlord who said, Hey, I think I’ll destroy ocean ecosystems and earth’s other natural habitats by making a huge plastic flotilla in the Pacific. The villain to resist here is habit. Or rather, bad habits which prioritize short-lived convenience over the health and well being of the planet and everybody on it. Not all of that plastic is from single-use water bottles, but for the consumer, rejecting the use of disposable water bottles and choosing a reusable insulated bpa free water bottle is a good place to start to turn back the tide. Not only that, but an insulated bottle that can multitask as a 24 hour cold water bottle, a tea bottle, and a bottle for infused water is one bottle to rule them all. Clearly, we’ve got some work ahead of us. The first step is to stop adding to the problem. A leak proof water bottle constructed of 18/8 stainless steel that keeps your drink cold for 24 hours and hot for 12, has a built in infuser, comes apart to clean, fits in your cup holder, and looks great on your desk, well, that’s a start. The plastic problem is dire, but the good news is, human beings are on it. Futurism lists several creative and effective global initiatives making a dent across oceans and cultures. Right here at home, we’re making the case that ecological activism can take sophisticated form. Check out the Be Bottle Collections to find the innovative vacuum insulated water bottle that appeals to your personal aesthetic. A percentage of every purchase of every stainless steel bottle goes toward Water.org, as part of our mission to foster the holistic health of the planet, our home.